In Brooklyn, the West Indian Day Parade goes straight down Eastern Parkway. It's as much a summertime celebration as it is a competition to see who has the biggest truck with the loudest speakers. Most of what gets played is, of course, West Indian music, but the city's summer bombast shouldn't be exclusive to soca, calypso and reggae. Sometimes you just want to hear an acoustic guitar played fulled blast out of an 18-wheeler. We've rounded up our favorite jams from our Summer Music Issue and prepared a proper soundtrack for your big truck or beachside iPod speakers. 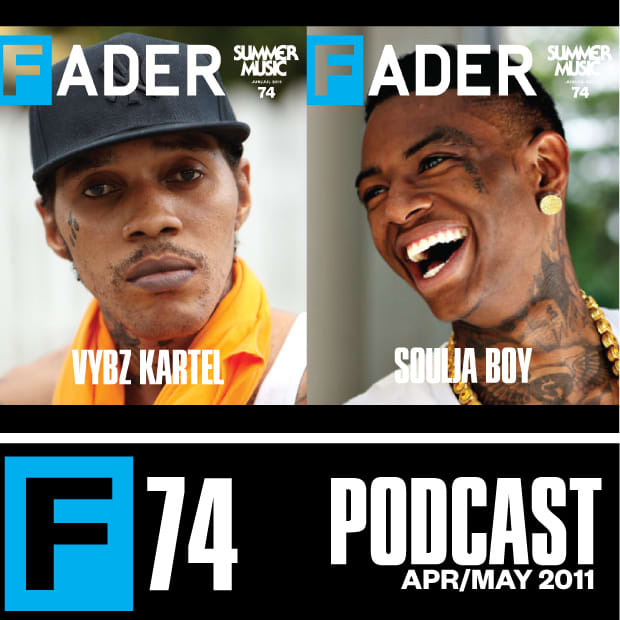 Six years into his career, Soulja Boy is still welcome at our barbecue, and so are FADER #74 stars Vybz Kartel, Woods, DJ Harvey, Jhene Aiko, Clams Casino, Pure X, Grimes, Little Dragon, Fat Trel and Shabazz Palaces. It's hot out out there, and it should be. Soulja Boy f. Waka Flocka, "Throwed Off (Remix)"
Shabazz Palaces, "Swerve... The reeping of all that is worthwhile (Noir not withstanding)"
DJ Harvey, "I Want It"
Soulja Boy, "Zan With That Lean Part 2"
Fat Trel, "Honey I'm Home"